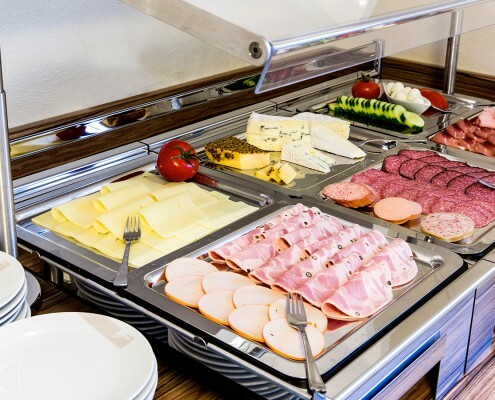 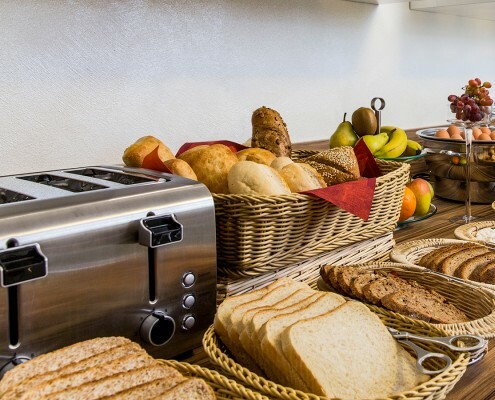 For the perfect start to the day, we serve a rich breakfast buffet prepared for you. 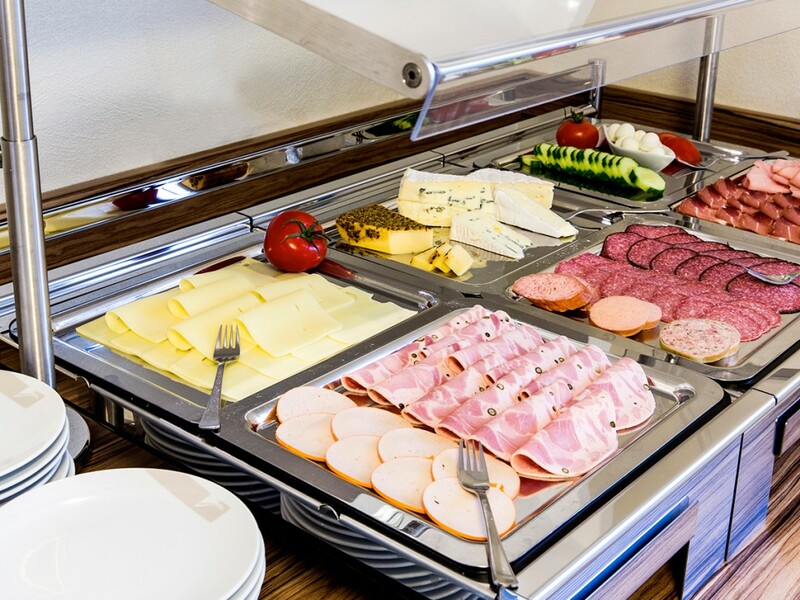 You have the choice between different breads and rolls, fresh fruit, cheese and sausage plates and boiled eggs. 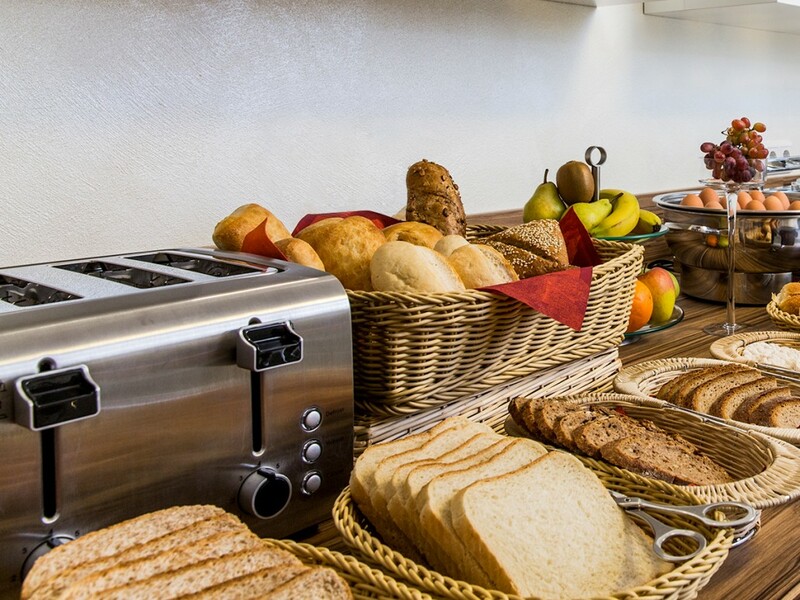 Who eats in the morning rather sweet, finds honey, various jams and of course a wide selection of cereals and various deposits (eg nuts, dried fruit). 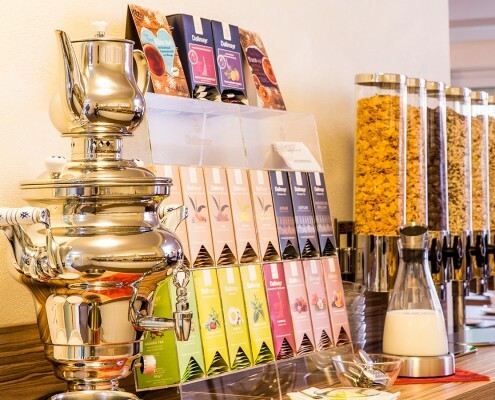 In addition to coffee and further coffee specialties, we also offer a selection of different teas that you can prepare in style with our samovar. 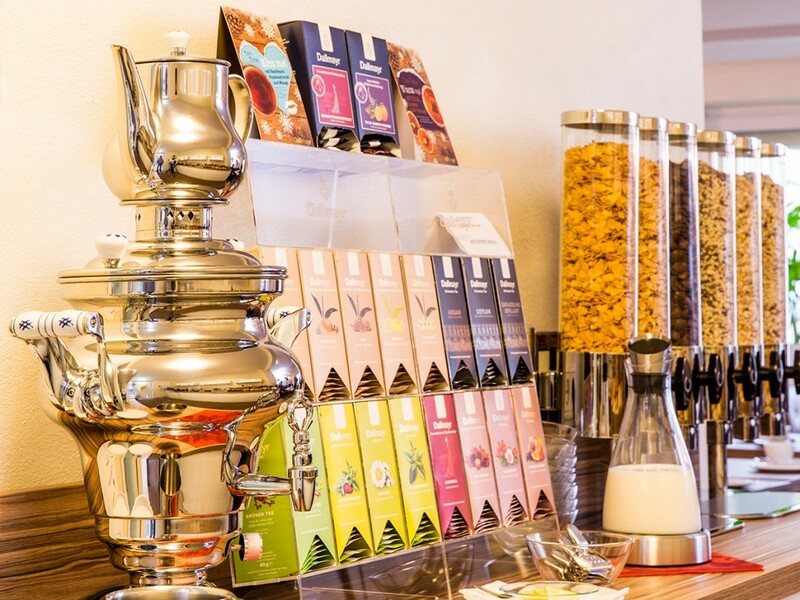 Of course you also get a variety of juices with us. 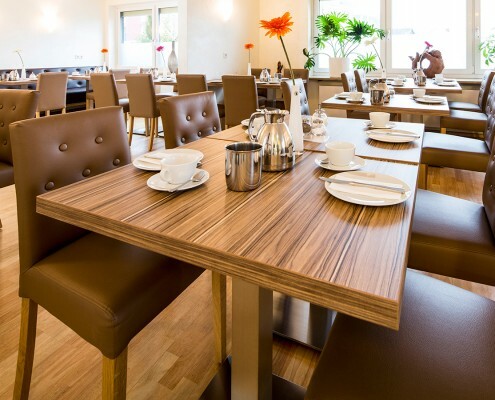 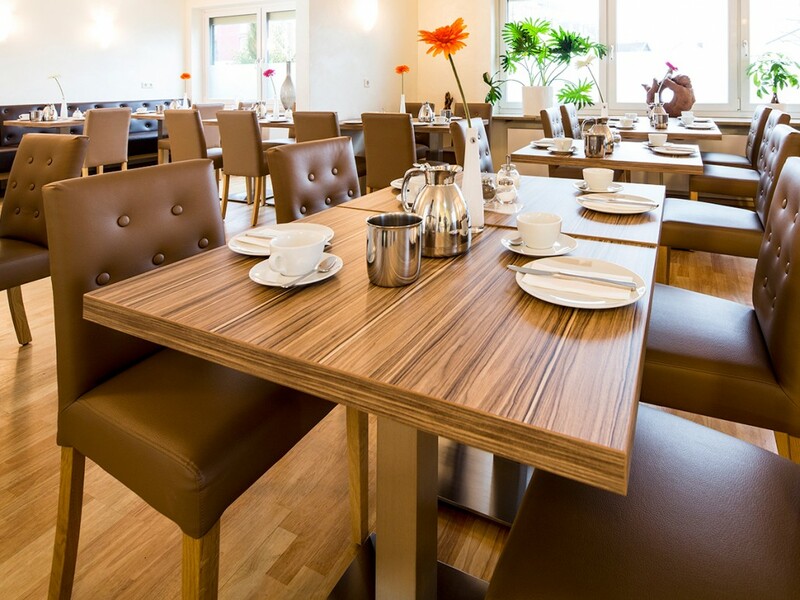 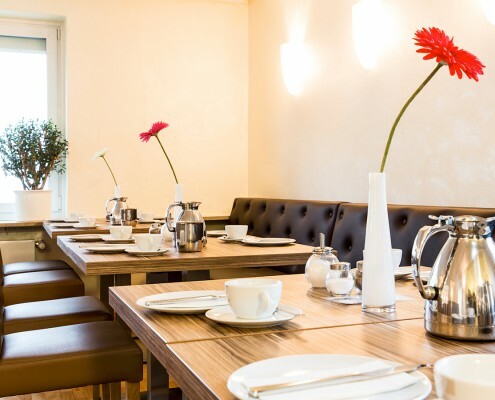 And breakfast in the matching ambience is even more beautiful, we have recently upgraded our breakfast room for you. 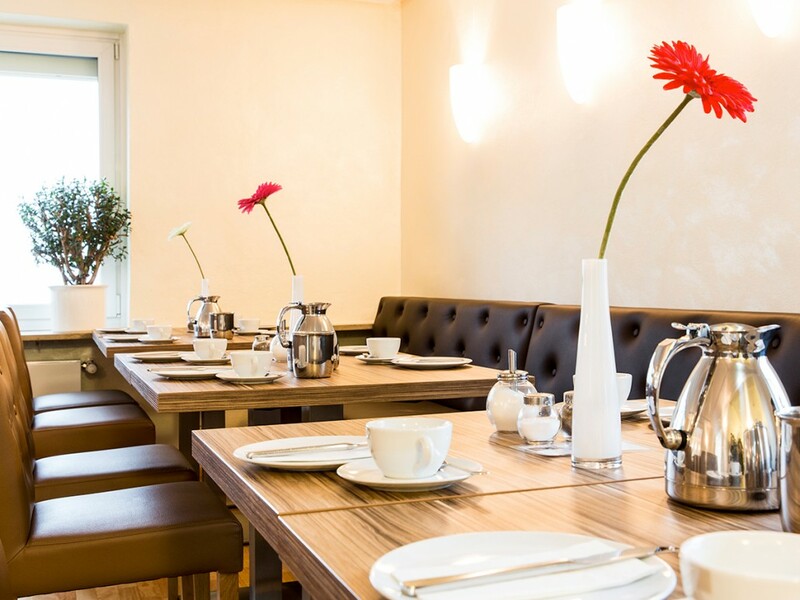 In summer in warm weather you can start your day on our terrace and in the hotel garden in the fresh air.